Cloud gaming service G-cluster and French based games publisher Ubisoft announced that they are partnering to bring many of Ubisoft’s popular games to the G-cluster cloud gaming platform, including Assassin’s Creed 2, Beyond Good & Evil, Prince of Persia: The Forgotten Sands, Rabbids Go Home and Tom Clancy’s Hawx 2. Looks like G-cluster is finally delivering on their promise to challenge OnLive in the cloud gaming arena, as Ubisoft is also a big partner of OnLive. Some of the Ubisoft games are already available on the G-cluster platform for customers of the French carrier SFR. In October, 2010, G-cluster launched a white-label cloud caming service in partnership with SFR, and the service is currently available to 3.1 million households in France on TV, and is also available on PC and Mac. Ubisoft’s games are available in the form of rentals, purchases and subscriptions, and the company expects to bring more of its high-definition titles to the G-cluster platform in the near future. 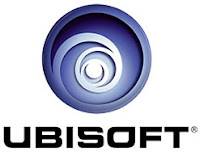 It's no coincidence that G-cluster and Ubisoft have partnered, since G-cluster has a large investor and partner from France with SFR and is doing a lot of business in France, and well Ubisoft is a global games publisher based in France. G-cluster provides a white-label cloud-based video gaming service using its patented G-cluster technology. The technology allows interactive content requiring low latency, such as high-end video games and full-length DVD films, to be distributed to a wide range of devices. G-cluster has partnerships with more than 30 game studios and more than 90 games are commercially live today on its platform.